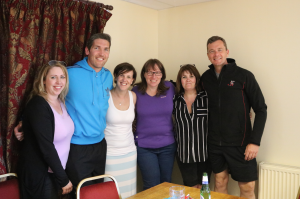 Sean joined James Hook at a special appearance at Cobra RFC in Meidron Mid-Wales, kindly sponsored by four local businesses – George Davies Chickens, Trebor Jones TrebsTractors, David Langford Poultry and Hughes Caterers. 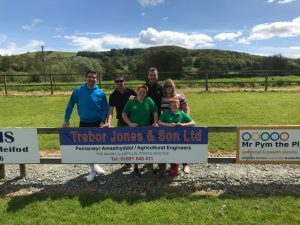 After joining in coaching sessions, Q&A’s and other activities staged by Trevor Jones and the club, James and Sean interviewed two officials of the club Hugh Tudor and Alun Price and also discussed the end of season play offs and finals in the big professional competitions. 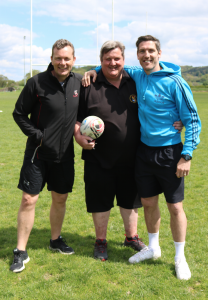 The proposal is for former Wales and British Lions rugby player James Hook to team up once again with his former coach at Ospreys Rugby and now renowned rugby broadcaster Sean Holley for a series of unique podcasts taking their thoughts on Grass Roots rugby issues back into the clubs. 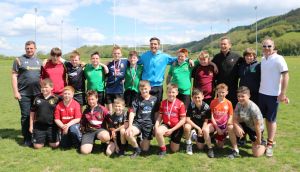 The series will be recorded at the home of specially chosen clubs and will focus on the burning issues that junior rugby clubs face in the modern game. 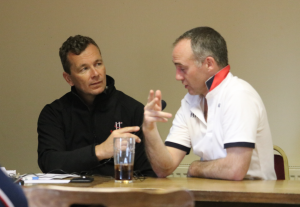 Each podcast will be coupled with interviews with characters from those clubs, celebrity guests and topical stories from the professional game. The podcast is to be launched via an initial Facebook and webpage feedback campaign based on the Cobra RFC experience. This is to introduce the concept and to glean feedback on the key discussion points and pivotal issues that are currently faced by the general rugby public. In a recent BBC Wales Sport Facebook Live James and Sean received over 45,000 views. 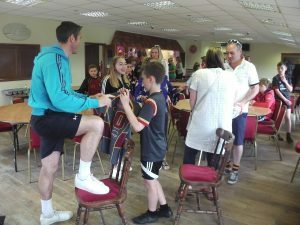 In staging the podcast recordings at the clubs, real life players, parents, volunteers, coaches, administrators and supporters will generate a unique clubhouse atmosphere either post training or post match. ‘Hook, Line and Holley’ is looking for a commercial partner to sponsor the initial series of 6 epidodes. 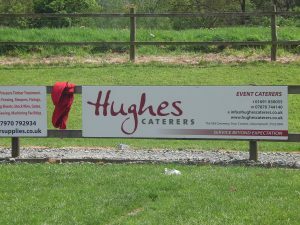 This partner should have a specific Corporate Social Responsibility (CSR) motive for wanting to be involved in the venture, relevant to Grass Roots rugby and community focus. The anticipated delivery of the series is monthly, moving to a fortnightly release, starting in June 2018. James Hook is currently in his second stint as a player at Ospreys Rugby following time at Perpignan in France and Gloucester in England. He played 81 times for Wales scoring 352 points and was a British & Irish Lion on the 2009 tour to South Africa. James regularly broadcasts on BBC Wales on radio and television platforms. Sean Holley coached at Ospreys Rugby between 2003-12 and Bristol Rugby between 2013-16 winning 6 major trophies. He also coached Wales in 2009. Sean is currently the resident rugby analyst for BBC Wales Scrum V and is a regular pundit/commentator for BT Sport Rugby, s4c and Radio Wales. He also currently hosts the Sony Academy Award winning radio show ‘Rugby Nation’ on Nation Radio.